There are countless accessories available for two-way radios, including earpieces and microphones that greatly enhance communication. 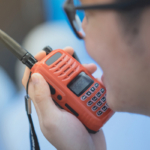 Many different people use two-way radios for many different purposes, which is why radio accessories are so important. Many job sites constrict the use of hands to communicate, which is where a highly functional and comfortable earpiece can really come in handy. Also, if you are on the radio throughout the day it is uncomfortable to constantly hold up a radio, and once again a radio earpiece will make your life easier. All that being said, there are so many earpieces for two-way radios available it can be tricky to find the best one for you. Here are some tips and recommendations to help you find the best earpiece for your needs. 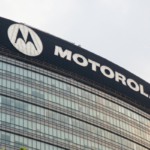 Motorola makes some of the best two-way radio earpieces on the market. They have full headsets that cover the entire ear, and they also have more minimal headsets that fit inside of ears. Some headsets have cords and others are wireless, some are sleek and others more invasive. There are so many options it can start to get a little overwhelming when trying to pick the best out of the bunch. Kenwood also makes a great assortment of high quality radio earpieces compatible with their most popular devices. Just like Motorola, Kenwood earpieces offer unlimited options in terms of comfort and convenience, ranging to include full ear coverage to more discreet earpieces. Cordless and cord options are both available, depending if your radio has Bluetooth capabilities or not. When it comes to finding the best Kenwood and Motorola radio earpieces it’s best to talk with your team members and show them all of their options. You want everyone to be happy with the final selection so that it is put to good use. Does you fleet of radios include Bluetooth technology? If so you will not need an earpiece that comes with a cord to connect to the radio. Instead you can go for a wireless option. Having no cords in the way throughout the day can make things easier, but it can also complicate things because people may forget to bring along their radio (if it is not attached to their person). This is counterproductive because Bluetooth will cease to work if separated from the radio by too much distance. Talking to your team about the applied use of radios throughout the day can help you decide on Bluetooth vs. corded options. 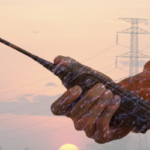 What If I Am Renting Two-Way Radios? You always have the option to rent or buy a radio system. If you are renting you may not want to purchase accessories. In this case, you can actually rent accessories to go along with your radios. -How often are radios used to communicate throughout the day, all of the time, sometimes? People may not want to wear a headset throughout the entire day if radios are only used sometimes. On the other hand, if radios are used all of the time people are more prone to wearing the headset and forgetting about it because they are constantly in need of it. -What is most comfortable for you and your team to wear? Different people have different preferences when it comes to comfort regarding wearing an earpiece. Employee comfort is adamant to keep productivity and moral high. This is why it’s important to ask your team to define their preferences or take a group vote. This is especially helpful if everyone is given the opportunity to try on different model earpieces. People don’t always know what type of earpiece is most comfortable until they try out a few options. In most cases different earpiece models are compatible, allowing people to wear the earpiece that is most comfortable to them while still enjoying smooth communication across all channels. -Do you need a microphone too, or just an earpiece? If team members only need to hear messages and not respond you may only need an earpiece and not a microphone. 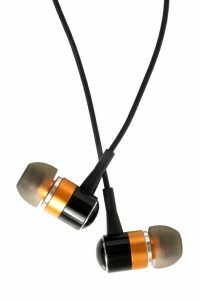 Most earpieces do come with microphone attached for two-sided conversations. -Are radios mounted to vehicles or individuals? If radios are mounted to something (such as a car, wall or individual’s belt) Bluetooth is an excellent option. This grants greater range of movement while still remaining connected. If radios are free floating Bluetooth may become complicated because both the earpiece and radio must be kept in close contact throughout the day. Corded earpieces are also complicated by unsecured radios. Regardless if you use Bluetooth or corded earpieces it’s wise to consider investing in clips for radios that attach to belts, other pieces of clothing, or something else always nearby. For all of your two-way radio needs contact the leading industry professionals at Highland Wireless. 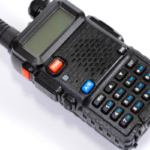 We provide radio repairs, radio services, two-way radio rentals and sales.